Hand-formed gold-filled arrow charms hand from delicate gold-filled cable chain. Each charm is handmade and will have slight variations making each piece original. 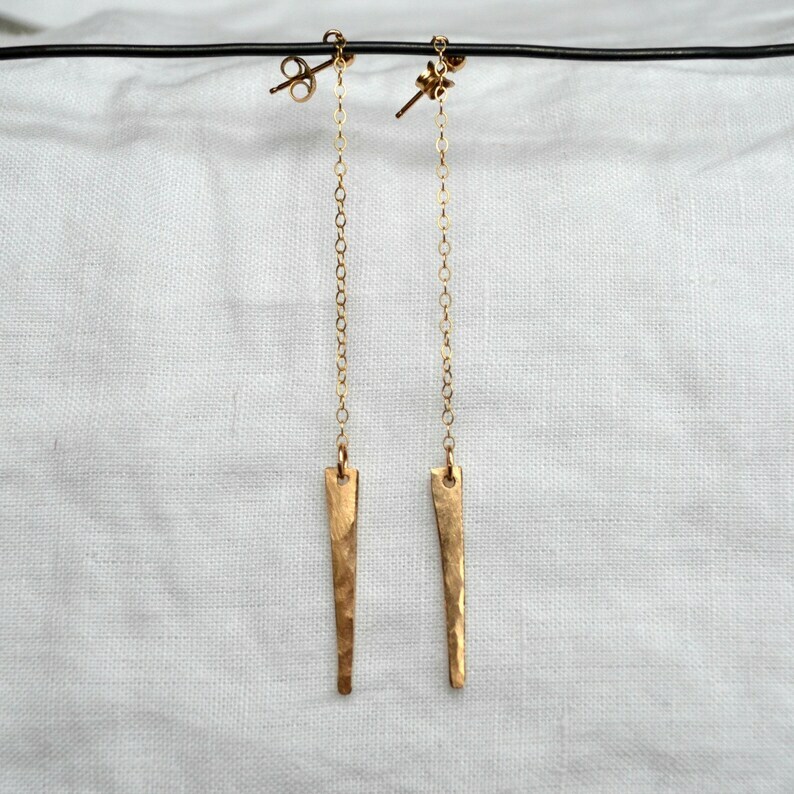 The earring hangs from gold-filled posts. This lightweight earring is wonderful under hats, with other statement jewelry pieces, or on it's own. When possible, rush shipping is available upon request.